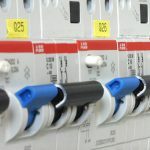 The design of electrical system is a crucial technique both in terms of energy efficiency and about security. The resources invested in this area in the design phase are well spent, not only because a good design avoids efforts and subsequent adaptations, but also because it allows to come straight up without ties to customer needs and to the parameters required by the regulations. People define “electrical system” all the electrical components necessary for facilitating the use and the transmission of electricity. SMEA Engineering by decades deals with the design of industrial and civil electrical installations, providing quality solutions without sacrificing a customized offer. Management costs; the design development in accordance with the aforementioned criteria, contributes substantially to the reduction of energy consumption. One of the most frequent unforeseen, is the short circuit: it is a problem of insulation that ruin the structure and the components, potentially causing damage indirectly also to the people; the solution adopted in this case is usually the installation of a magnetometric switch, which magnetically protect the circuits, as well as protect them from overloads. Another problem that can affect the electrical systems is the electric leakage: this is more dangerous than the sort-circuit, because the problem of faulty insulation in this case goes to directly harm people; it is then vital to adopt a life-saving, technically called differential switch. This tool allows you to protect the individual who inadvertently come into contact with non-insulated cables, by switching off the power. If you instead fail to resize conductors, or the network suffers of excessive loads, then we are talking about overload. This problem leads in the long run to the components deterioration by exposing them to the risk of short circuits or dispersions. To contain it and to protect expensive tools as engines, you use the motor protection, or a circuit breaker that disconnects the power when it detects an anomaly. One of the most common problems for electrical systems is the overvoltage, which occurs when an external phenomenon (such as a bolt or a simple contact with a higher voltage system) goes to interfere with the internal components of the system. In this case it is necessary a discharger, that is a component that discharges the energy to the ground in case of sudden and excessive voltage overshoot. Last but not least, the fuse deserves a mention, because it protects against surges that may cause short circuits. The fuse is mainly used in domestic areas. In light of these risks, it is clear why we should entrust to professionals avoiding DIY manual: the success of an electrical installation is synonymous not only with efficiency and effectiveness, but above all with safety.